Most of Mexico’s ancient ruins are located in the south of the country, but there’s one unique archaeological site just an hour’s drive from Guadalajara. 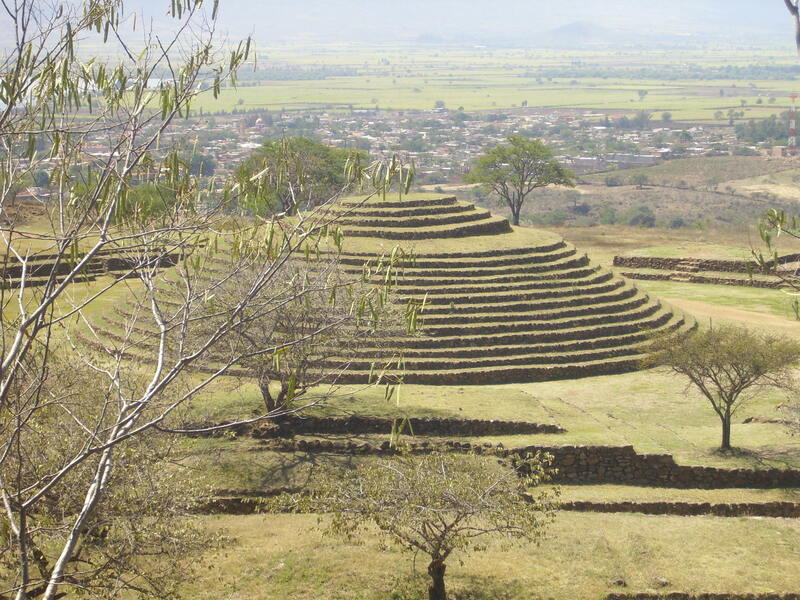 The 2,000-year-old Guachimontones ruins found at the town of Teuchitlan, Jalisco are home to the world’s only circular pyramids (aside from the similar but smaller Cuicuilco pyramid in Mexico City). Now part of a UNESCO World Heritage Site, Guachimontones was discovered in 1970 by the late, great U.S. archaeologist Phil Weigand, who only obtained the finances to begin full excavation in 1996. It is now the seventh most visited archaeological site in the country and is considered the finest in western Mexico. Click here to read this article in full at Global Delivery Report. Those are definitely some unique ruins. About how tall was each level/step? It’s a few years since I visited but I think each step was about a foot high, maybe a little less. Hi, thanks for this informative article. I’m not sure if you are aware but there are circular pyramids in Austria (Europe) too. They are not as big but they do strongly resemble these Mexican pyramids. Austrians named them the Celtic pyramids or simply stone pyramids. You can find some pictures and info (mostly in German) by searching Google for “Steinpyramide Osterreich”. Cheers. Jonas. Unique. Tequila is nearby too.